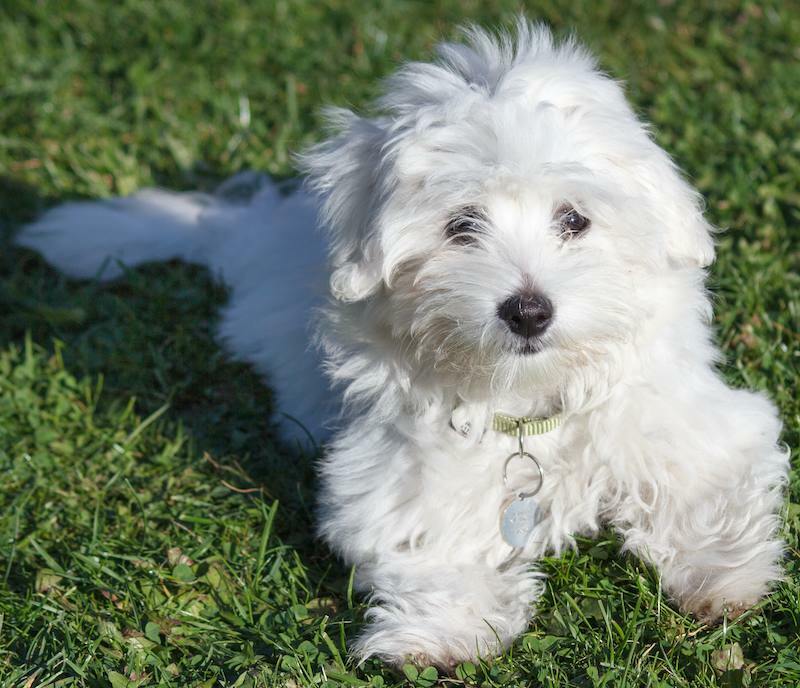 Coton de Tulear, named for his cottony coat is a Bichon type breed. These ratters gave rise to cotton de reunion nearly extinct the breed was modified in Madagascar through crosses with Maltese. 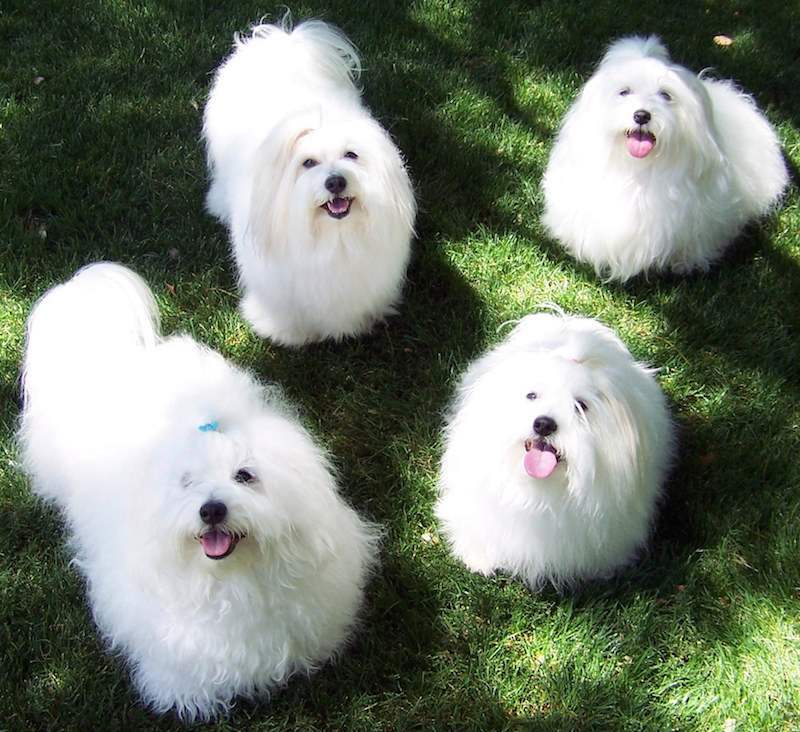 The coton enjoyed the favour of the Madagascar upper class. 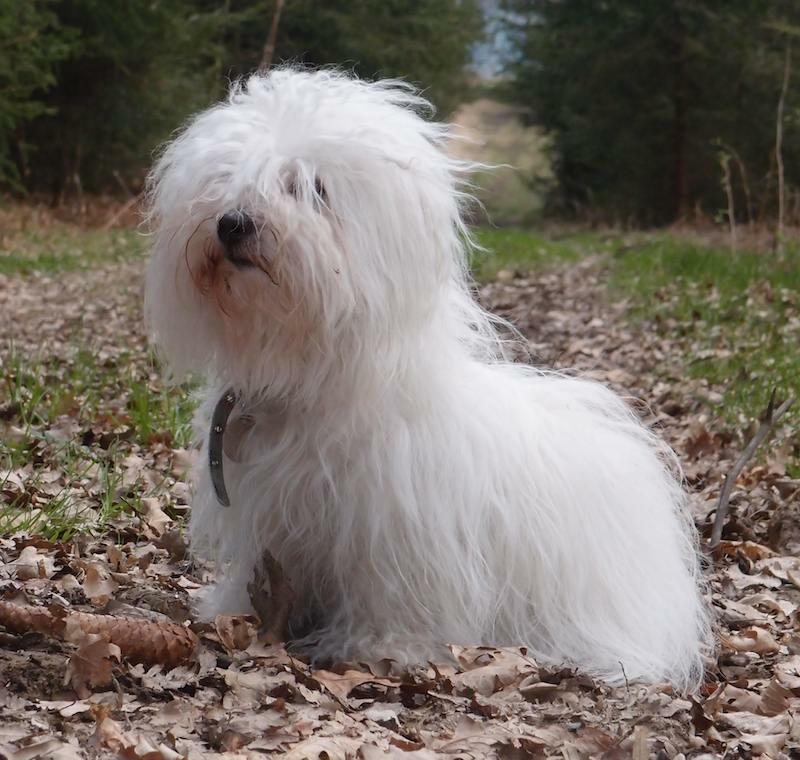 General Appearance: Small, long-haired, companion dog with a white cotton textured coat, with round, dark eyes and a lively, intelligent expression. 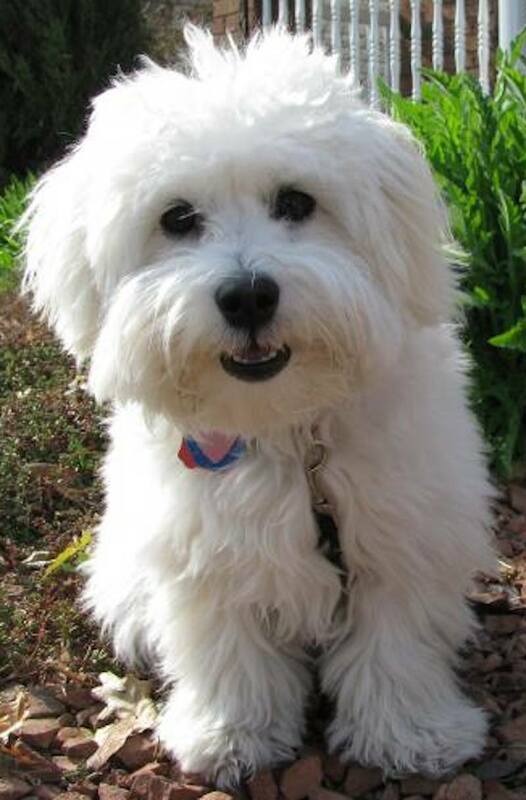 Coton de Tulear Temperament: Of a happy temperament, stable, very sociable with humans and with other dogs; it adapts perfectly to all ways of life. 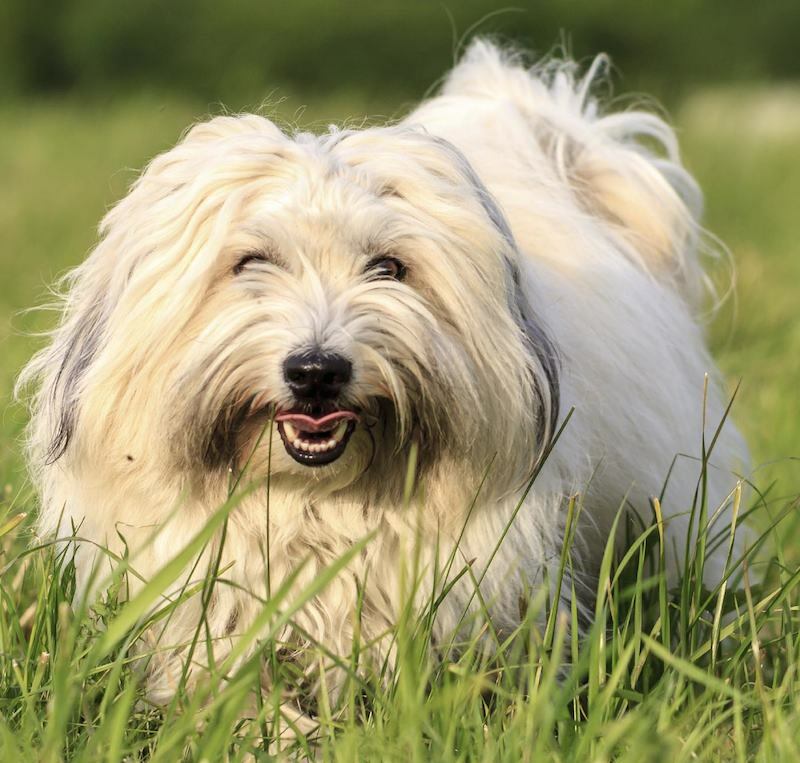 The temperament of the Coton de Tulear is one of the main characteristics of the breed. Height at withers: Males : 10-11 inches (26-28 cm), tolerance of 3/4 inch (2 cm) above and 3/8 inch (1 cm) below. Females : 9-10 inches (23-25 cm), tolerance of 3/4 inch (2 cm) above and 3/8 inch (1 cm) below. 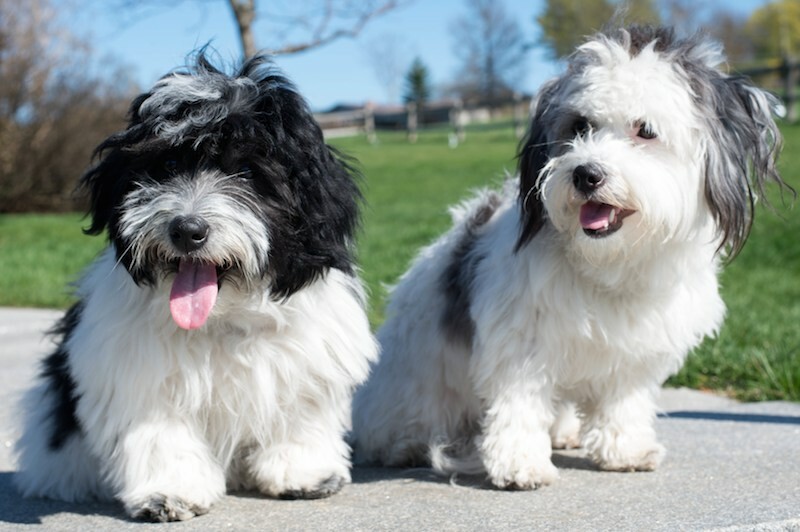 Weight: Males : From 8.5 lbs. (4 kg) to a maximum of 13 lbs. (6 kg). Females : From 7.5 lbs. (3.5 kg) to a maximum of 11 lbs. (5 kg). Important Proportions: The height at the withers in relationship to the length of the body is 2 to 3. ; The length of the head in relationship to that of the body is 2 to 5. ; The length of the skull in relationship to that of the muzzle is 9 to 5. Skin: Fine, stretched tight over all the body; although of pink colour, it can be pigmented. 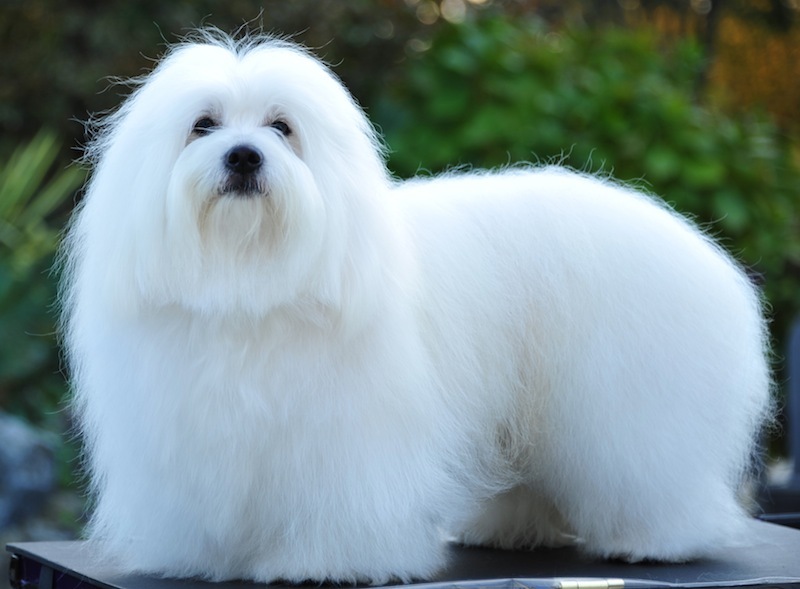 Coat: This is one of the main characteristics of the breed from which its very name derives. Very soft and supple, with the texture of cotton, never hard or rough, the coat is dense, profuse and can be very slightly wavy. Colour: Ground colour : White. 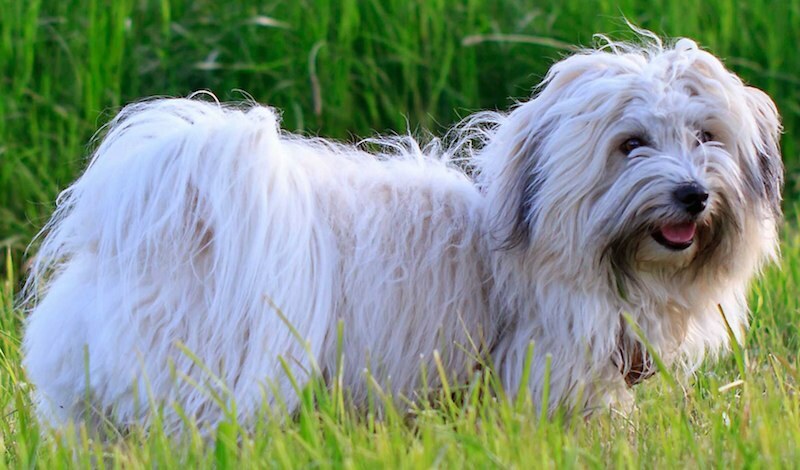 A few slight shadings of light grey colour (mixture of white and black hairs) or of red-roan (mixture of white and fawn hairs), are permitted on the ears. 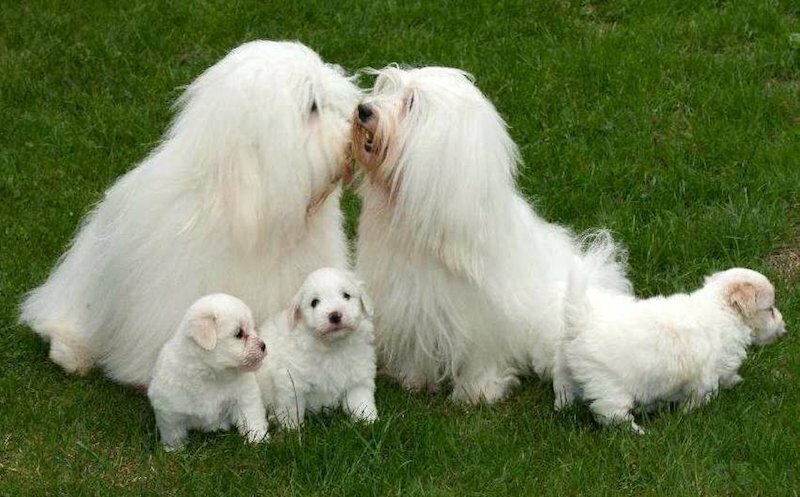 On the other parts of the body, such shadings can be tolerated, if they do not alter the general appearance of white coat. They are however not sought after. Head: Short, seen from above triangular. Skull: Seen from the front slightly rounded; rather wide in relation to its length. Superciliary arches only slightly developed. Slight frontal groove. Occipital protuberance and crest only slightly accentuated. Well developed zygomatic arches. Stop: Slight. Nose: In the extension of the nasal bridge; black; brown is tolerated; nostrils wide open. Muzzle: Straight. Lips: Fine, tight, of the same colour as the nose. Jaws/Teeth: Teeth well aligned. Scissor bite, pincer bite or inverted bite without losing contact. The absence of the PM1 is not penalised; the M3s are not taken into consideration. Cheeks: Lean. Eyes: Rather rounded, dark, lively, wide apart; the rims of the eyelids are well pigmented with black or brown according to the colour of the nose. Ears: Pendulous, triangular, high set on the skull, fine at the tips; carried close to the cheeks, reaching the corners of the lips. 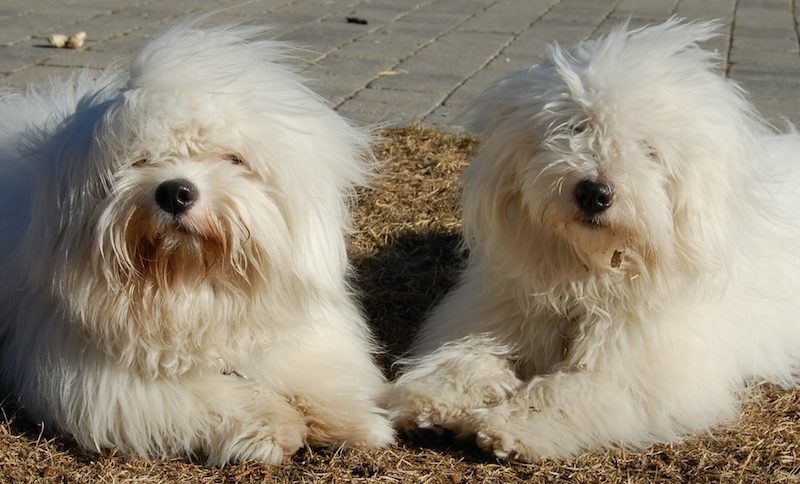 Covered with white hairs or with some traces of light grey (mixture of white and black hairs giving a light grey appearance) or red-roan (mixture of white and fawn hairs giving a red-roan appearance – lemon). Neck: Well muscled, slightly arched. Neck well set into shoulders. Proportion of neck to body = 1/5. Clean neck with no dewlap. Forequarters: The front legs are upright. Shoulder and upper arm: Oblique shoulder, muscled. Scapulohumeral angle about 120°. The length of the upper arm corresponds approximatively to that of the shoulder blade. Lower arm: Humero-radial angle about 120°. Lower arms vertical and parallel, well muscled, with good bone. The length of the lower arm corresponds approximatively to that of the upper arm. Carpus (Pastern Joint): A continuation of the line of the lower arm. Metacarpals (Pastern) Strong, seen in profile sloping very slightly. Forefeet Small, round, toes tight, arched; pads pigmented. Body: Topline: very slightly convex. Dog longer than high. Withers Only slightly pronounced. Back and loin: Strong back, topline very slightly arched. Loin well muscled. Croup Oblique, short and muscled. Chest Well developed, well let down to elbow level, long. Ribs well sprung. Belly: Tucked up but not excessively. Hindquarters: The hindlegs are upright. Though dewclaws are not sought after, their presence is not penalised. Upper thigh: Strongly muscled; coxo-femoral angle about 80°. Lower thigh: Oblique, forming with the femur an angle of about 120°. Hock joint Dry, well defined, angle of the hock about 160°. Metatarsals (Rear pasterns) Vertical. Hind feet Similar to forefeet. Tail: Low set, in the axis of the spinal column. At rest, carried below the hock, the tip being raised. On the move, carried gaily curved over the back, with the point towards the nape, the withers, the back or the loin. 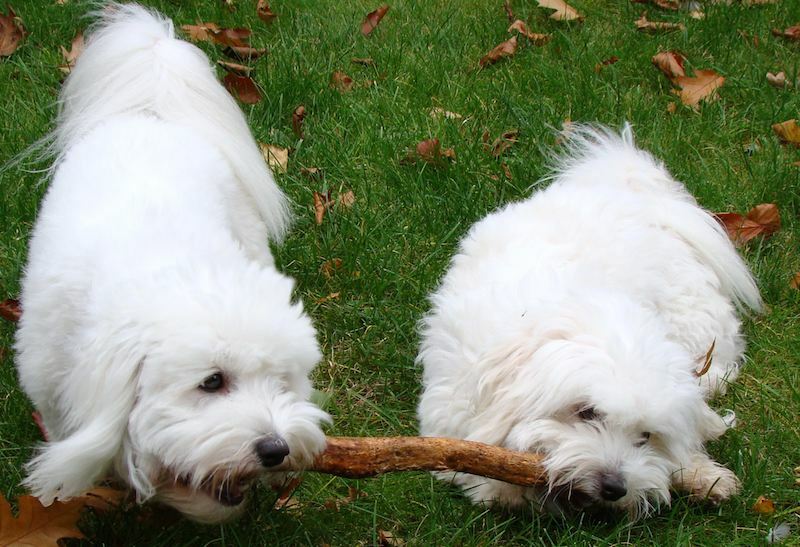 In dogs with abundant coat, the tip may rest on the dorsal-lumbar region. Gait: Free and flowing, without covering a lot of ground; topline retained on the move. No sign of uneven movement. Fault: Any departure from the foregoing points should be considered a fault and the seriousness with which the fault should be regarded should be in exact proportion to its degree. ; Skull: Flat or too domed, narrow. ; Muzzle: Disproportion between skull and muzzle. ; Eyes: Light, too almond shaped; entropion, ectropion, prominent eyes. ; Ears: Too short, with insufficient length of hair; ears folding backwards (rose ear). ; Neck: Too short, too stuffy in shoulder, too slender. ; Topline: Too arched, sway backed. ; Croup: Horizontal, narrow. ; Shoulder: Straight. ; Limbs: Turned inwards or outwards; out at elbows; hocks wide set or too close; straight angulations. ; Hair: Too short, too wavy, curly. ; Pigmentation: Partially lacking or too light pigmentation of eyelids or lips; discoloured nose, with unpigmented areas. 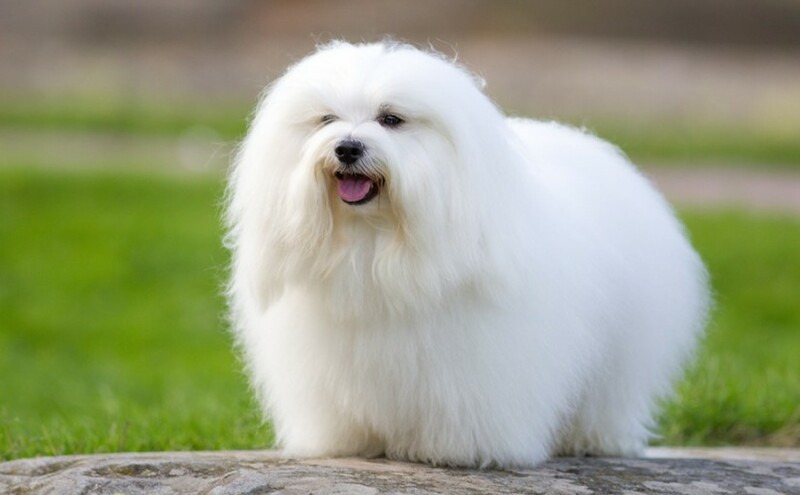 General type: Lack of type (insufficient breed characteristics which means that the animal on the whole does not sufficiently resemble other examples of the breed). ; Size and weight outside the requirements and tolerance of the standard. Particular points: Fore face: Bridge of nose convex. ; Eyes: Bulging, with signs of dwarfism; too light; wall eyes. ; Ears: Pricked or semi-pricked. ; Tail: Not reaching to hock; high set, completely curled (forming a tight ring); carried flat on the back or against the thighs; carried candle like; tailless. ; Hair: Atypical, rightly curled, woolly, silky. ; Colour: Heavily marked; any marking of a definite black. ; Pigmentation: Total lack of pigment on eyerims, nose or lips. Anomalies ; Overshot or undershot mouth with lack of contact between the incisors; vertical gaping of the incisors. ; Absence of teeth other than the PM I or the M3 s. ; Aggressive or extremely shy specimen.